A product of the Aberdeen youth system, Fraser made his first team debut aged just 16, starting in the opening game of the 2009/10 season against Hamilton. In January 2010 he scored his first senior goal, becoming the youngest ever goalscorer in a Scottish Premier League match - a record previously held by United's David Goodwillie. A new three year deal soon followed and the midfielder went on to make over 60 appearances for the Dons - a figure that would have been higher if not for a cruciate ligament injury that ruled him out for most of the 2010/11 season. Whilst with Aberdeen he represented Scotland at U15, U16, U17 and U19 level, and would later appear at U21 level. In July 2012, Fraser made the move to Wigan Athletic on a three year deal, and was used mostly in League Cup and FA Cup matches. After making his Premier League debut at the end of the season against Aston Villa, he was an unused substitute as relegated Wigan won the 2013 FA Cup Final. In October 2013, he joined fellow Championship side Yeovil Town on loan, but a shoulder injury cut his time there short. In January 2014 he joined Shrewsbury Town on a one month loan deal, and after one further appearance for his parent club he was released from his contract with Wigan in February 2015. He then signed a short term deal with Hibs, helping them reach the Premiership play-offs. At the end of that season he signed a two year deal at Easter Road, and was a regular in the side that lifted the Scottish Cup in May 2016 and won promotion back to the top division in 2016/17. When his Hibs contract came to an end, United manager Ray McKinnon pursued the midfielder for most of the summer, with Fraser eventually signing an initial one year deal. A regular in the starting lineup from the get go, Fraser's campaign was eventually cut short by a cruciate ligament injury suffered during United's last game of 2017 and after having surgery in January he sat out for the rest of the season. On May 17th, he signed a two year deal to remain at Tannadice until May 2020. Fraser was born on this date in Aberdeen. 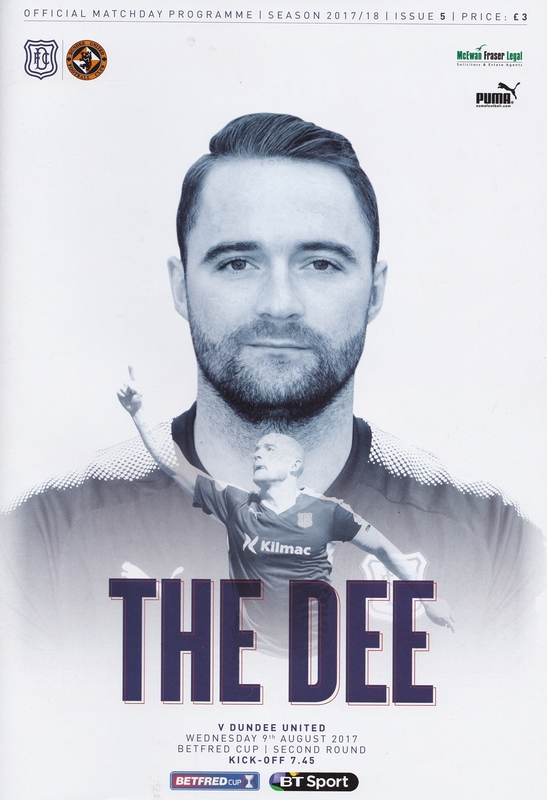 A mere ten days after their previous meeting, Dundee and United faced each other again in the BetFred Cup, this time in the last 16. 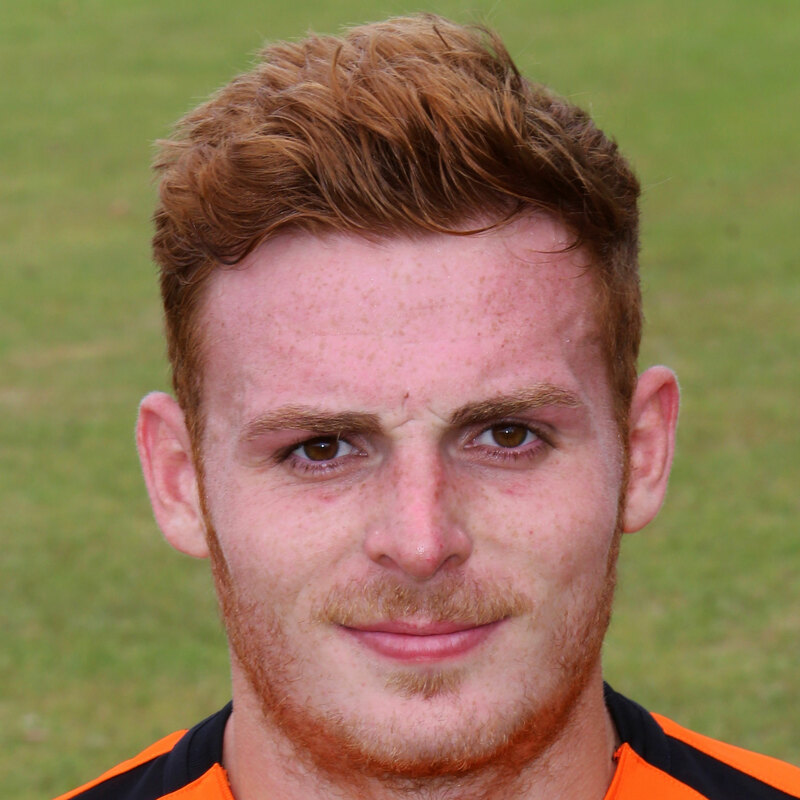 Both Scott McDonald and new signing Fraser Fyvie were making their first start for United. Mark Durnan also returned to the team after suspension. They replaced Jamie Robson, Scott Allardice and Scott Fraser in the starting line-up. United went back into second in the league with a tremendous win over league leaders Dunfermline Athletic. United made one enforced change from the previous week’s victory over Morton, with Willo Flood coming into the team in a rather unfamiliar right back role to replace the injured Lewis Toshney. The more natural replacement, Stewart Murdoch, was sidelined by the sickness bug which had ravaged the club.